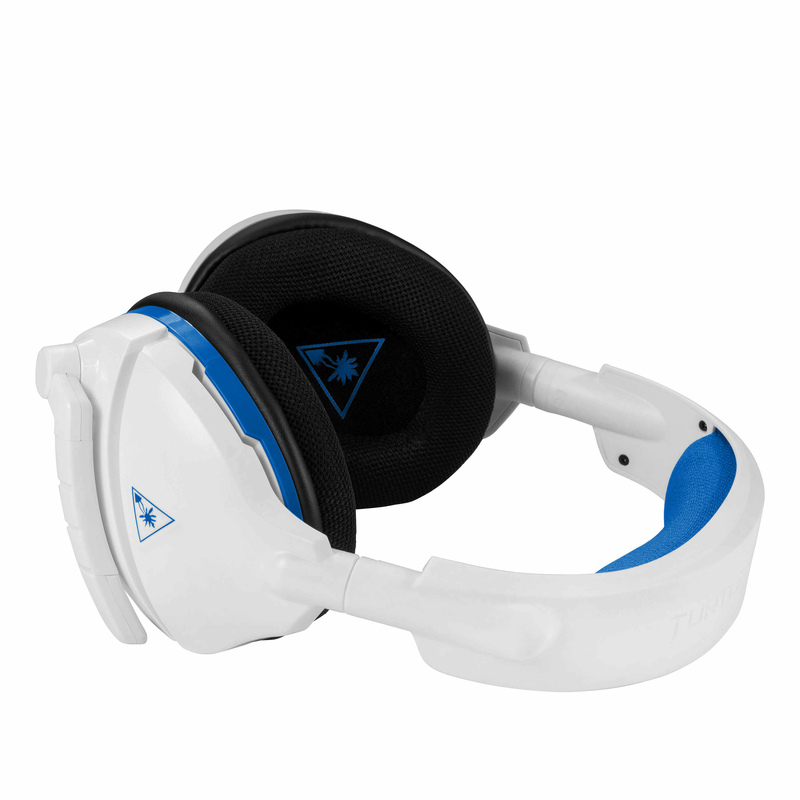 The TURTLE BEACH® STEALTH 600 WHITE is the latest wireless surround sound gaming headset for PlayStation®4, with a flip-up microphone, Superhuman Hearing™ and a variety of features. 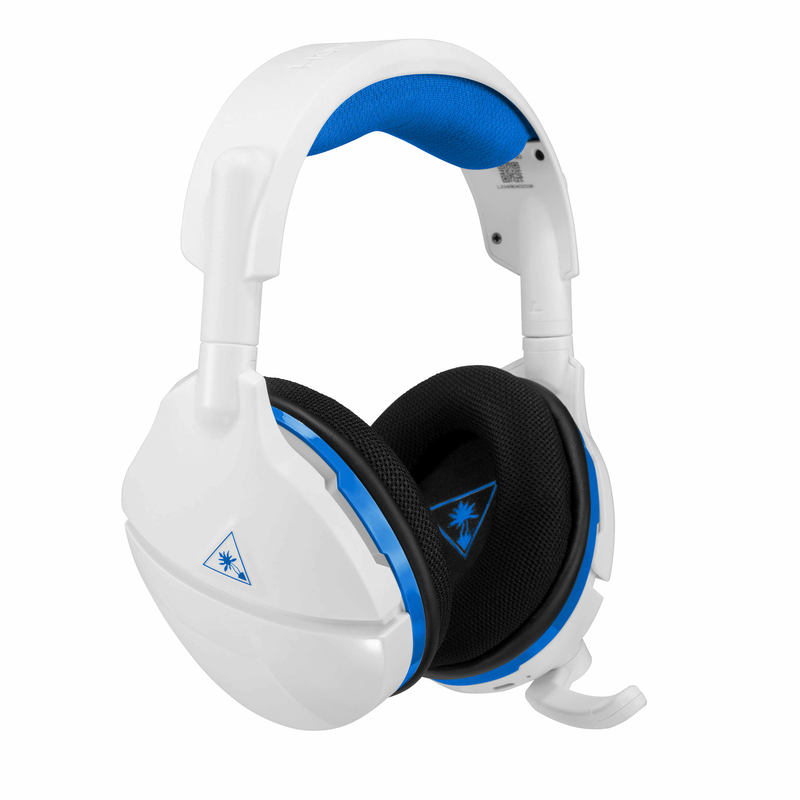 The TURTLE BEACH® STEALTH 600 WHITE is the latest wireless surround sound gaming headset for PlayStation®4. 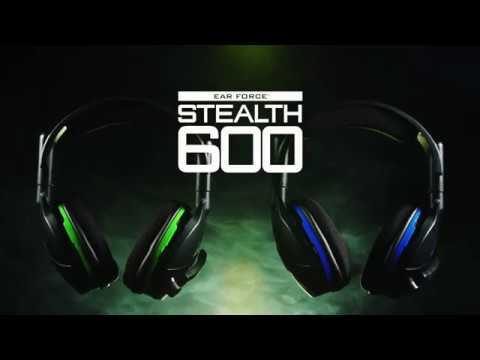 Debuting an all-new, modern style, the STEALTH 600 WHITE delivers virtual surround sound and chat audio through powerful 50mm over-ear speakers, and features Turtle Beach’s renowned high-sensitivity microphone that can be flipped up to mute. 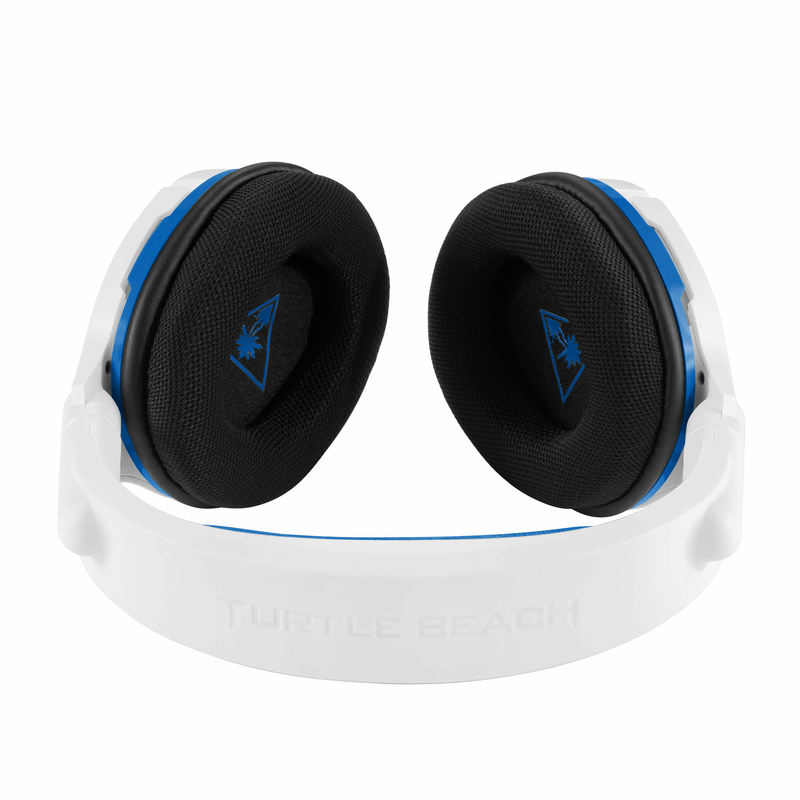 For comfort, the STEALTH 600 WHITE sports the latest iteration of Turtle Beach’s unique ProSpecs™ glasses-friendly design, and has breathable mesh fabric-wrapped headband and ear cushions. 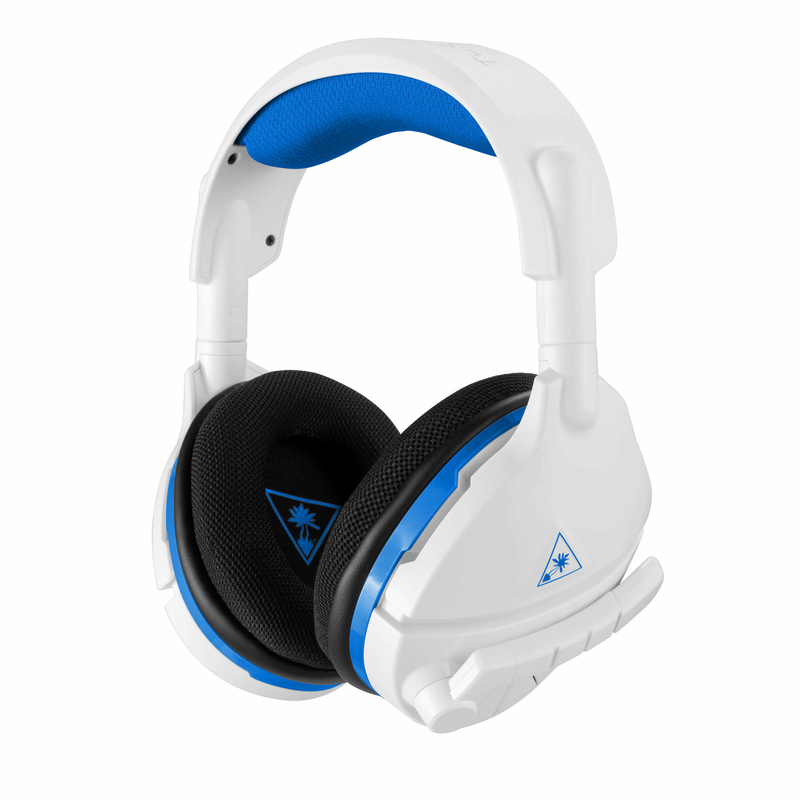 The STEALTH 600 WHITE also includes Turtle Beach’s exclusive Superhuman Hearing™ sound setting, Variable Mic Monitoring, audio presets including Bass Boost, and a 15-hour rechargeable battery. 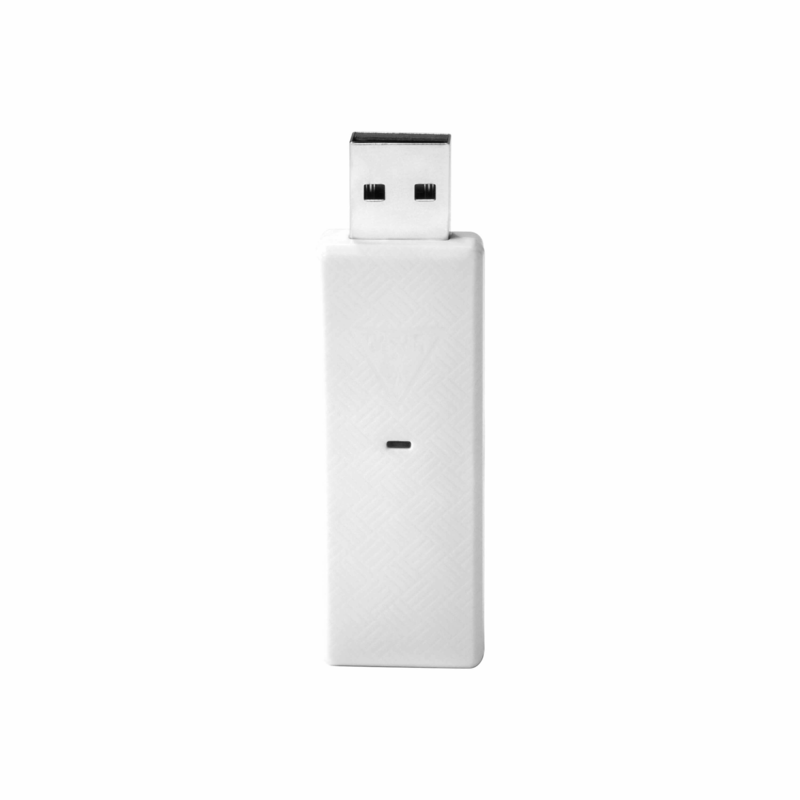 100% Wireless – A simple USB transmitter provides best-in-class wireless gaming audio on PS4™. Virtual Surround Sound – Experience immersive surround sound gaming audio on PS4™. Glasses-Friendly – The unique ProSpecs™ comfort-driven design alleviates the pressure on your glasses while you play. Powerful 50mm Speakers – Large, powerful50mm over-ear speakers produce crisp highs and thundering lows. Flip-up Microphone – Turtle Beach’s renowned high-sensitivity microphone picks up your voice loud and clear, and flips up to mute. Superhuman Hearing™ – From quiet footsteps sneaking up from behind to enemy weapon reloads just before an ambush, Superhuman Hearing™ lets you hear it all. 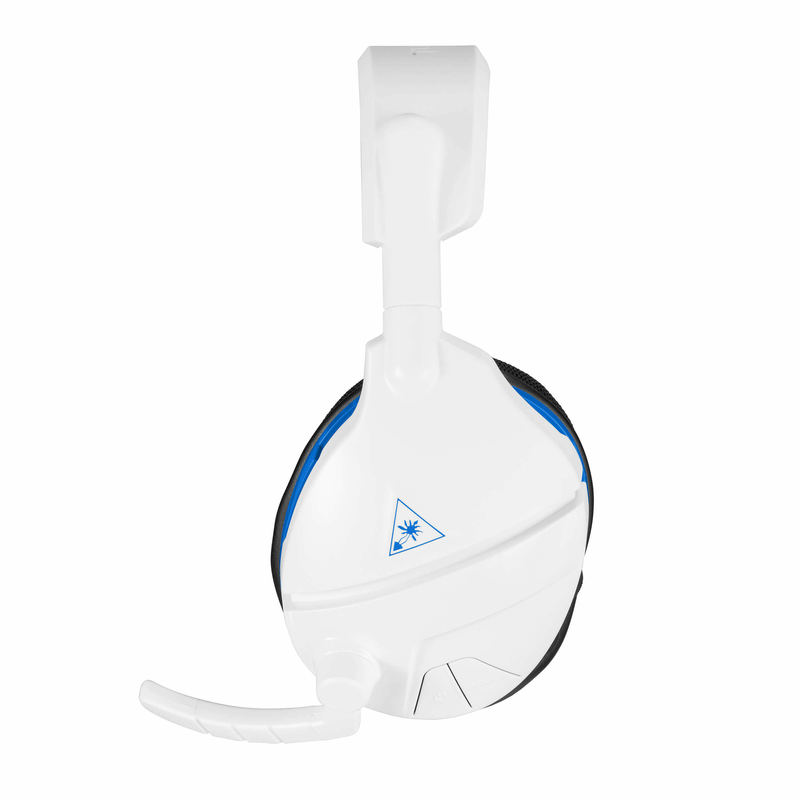 Variable Mic Monitoring – Hear and adjust the volume of your voice inside the headset so you never have to shout. All-Day Battery Life – Always be ready to play with up to 15 hours of gaming per charge. Turn standard stereo sound into virtual surround sound, and immerse yourself in your games, movies and music on any platform. 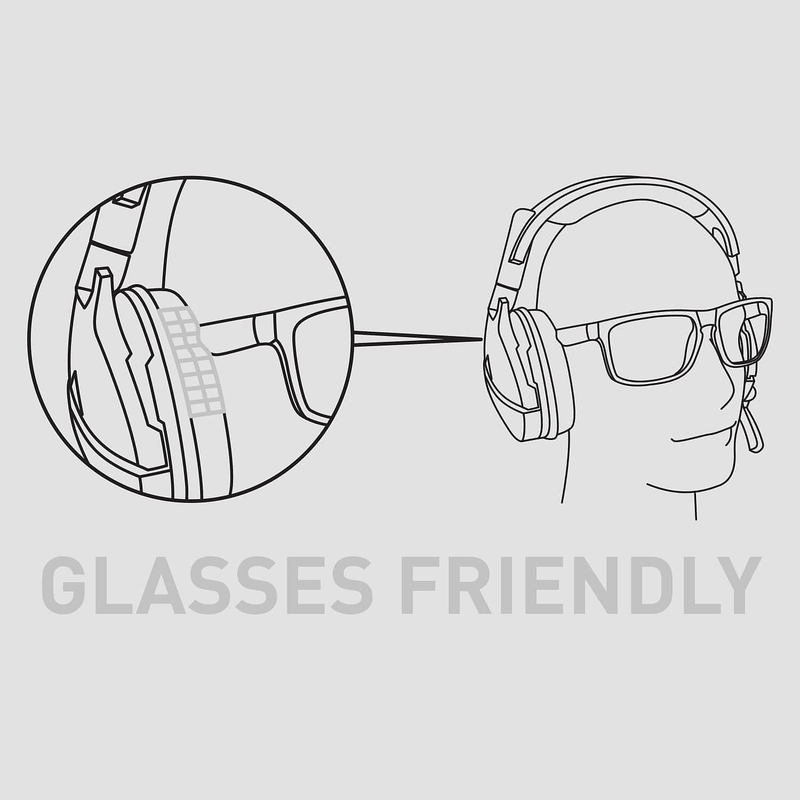 The latest version of Turtle Beach’s patented ProSpecs™ Glasses Relief System features dual-foam ear cushions, with softer foam in the section of the ear cushions that rests against your glasses, alleviating pressure and allowing gamers with glasses to play in comfort. Turtle Beach’s renowned high-sensitivity microphone takes on an all new form, picking up your voice loud and clear to ensure your commands are always heard loud and clear. 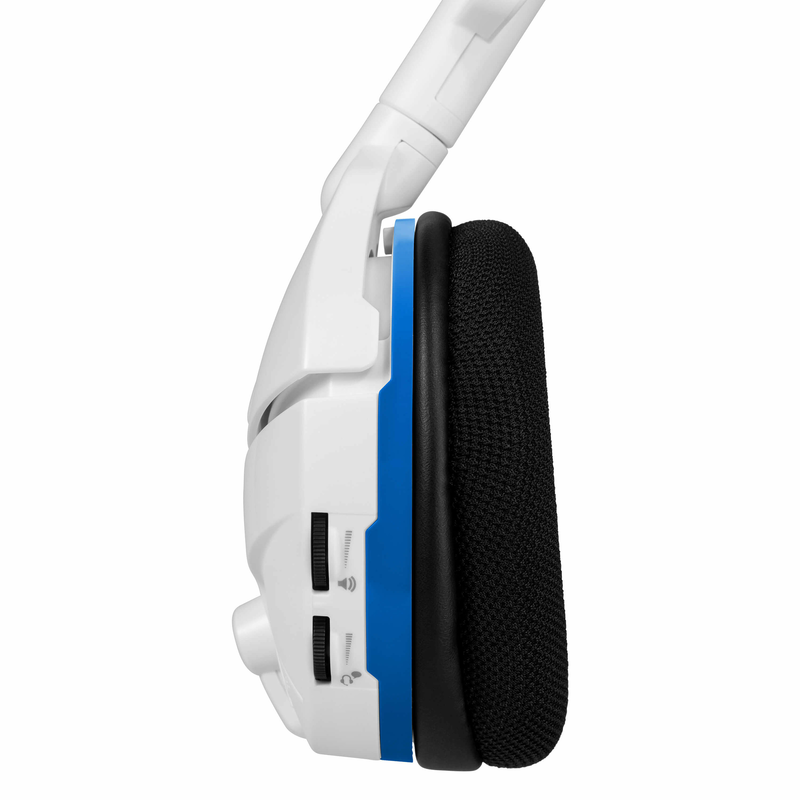 It also flips-up out of the way to mute when not in use and blends into the headset’s design. With Turtle Beach's exclusive Superhuman Hearing™ sound setting, you'll have the competitive advantage by being able to hear all the subtle yet game-changing sounds, like enemy footsteps sneaking up on your six, other players reloading their weapon for an ambush, and vehicles off in the distance approaching with reinforcements. It's vital intelligence for the split second, life-or-death decisions that elevate great gamers above the rest. Hear Everything. Defeat Everyone. Say it… don't shout it. 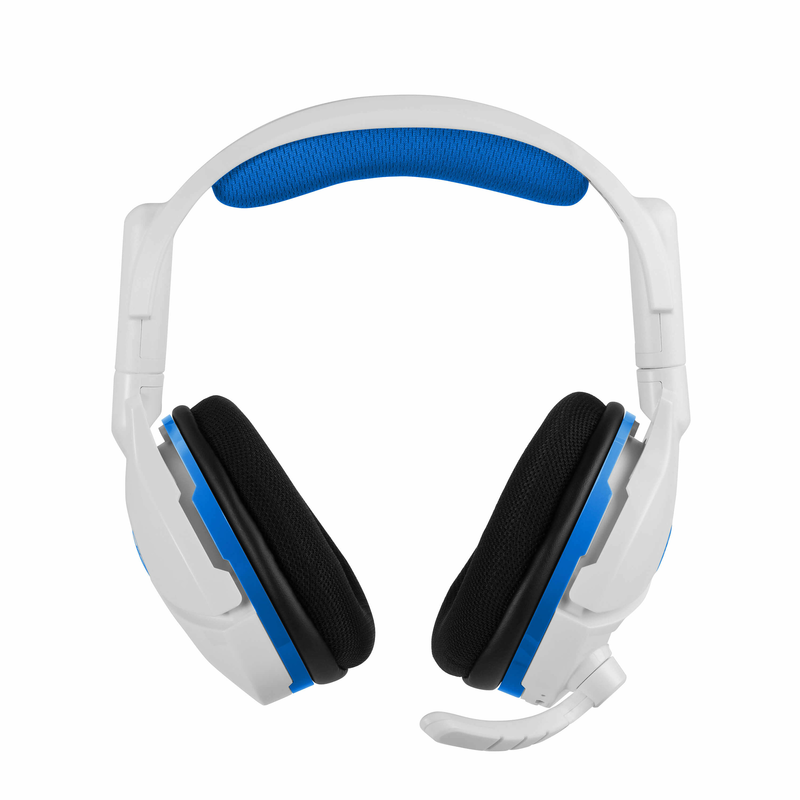 Hear and adjust the volume of your own voice inside the headset to avoid shouting at teammates and other players. An integrated rechargeable battery delivers up to 15 hours of gaming per charge, so you'll always be ready to play. For ages 13 and up. © 2018 Voyetra Turtle Beach, Inc. (VTB, Inc.). All rights reserved. Turtle Beach, the palm tree logo, Voyetra, Superhuman Hearing and ProSpecs are registered trademarks and/or trademarks of VTB, Inc. PlayStation is a registered trademark and PS4 is a trademark of Sony Computer Entertainment, Inc. All other trademarks are properties of their respective owners. Actual product appearance may differ from package imagery.